In a Q&A, OAUG president Melissa English discusses her passion for mingling with attendees at the 2015 Collaborate conference and how Oracle users old and new can learn from each other. Oracle Exalogic is the company's "cloud in a box"
Larry Ellison opened OpenWorld 2010 offering his definition of cloud, taking shots at Salesforce.com and releasing a complement to Exadata, the Oracle Exalogic "cloud in a box." Oracle relied heavily on users to help shape its PeopleSoft Enterprise Financials and Supply Chain Management 9.1 applications suite, which employs a number of Web 2.0 functions. 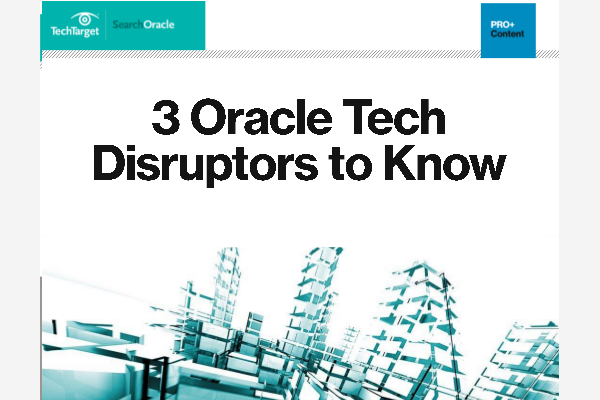 It's been an interesting year for Oracle already. Here is a look at the year's highlights at the halfway mark.